Beds, Nests Gallery - Sasquatch Canada contains current and authoritative information on sasquatch and other homins. 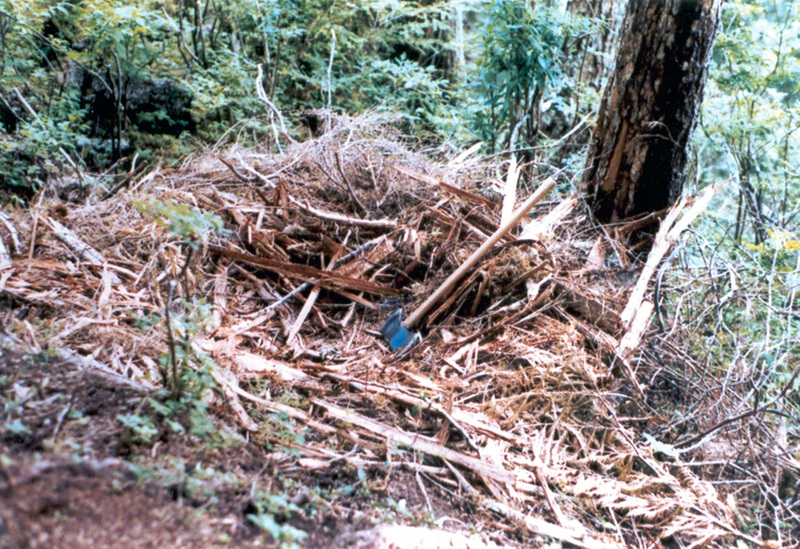 We can reasonably assume that sasquatch make some kind of bed or nest to protect themselves from dampness when they lie down to sleep or rest. 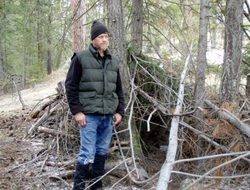 Rough structures made of forest material have been found that are considered to be bigfoot beds. The following photos are of a possible sasquatch bed/nest found near Klawock Lake, Klawock, Alaska, by Erick Muench of Ketchikum, Alaska. 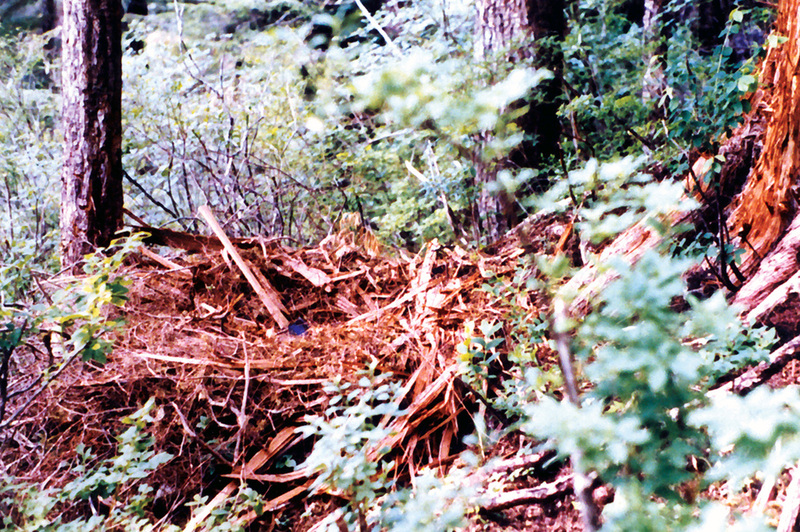 The details of this finding were first made known by Rob Alley in his book, "Raincoast Sasquatch," (Hancock House Publishers, 2003). Close-up of Klawock Lake nest with ax for scale. 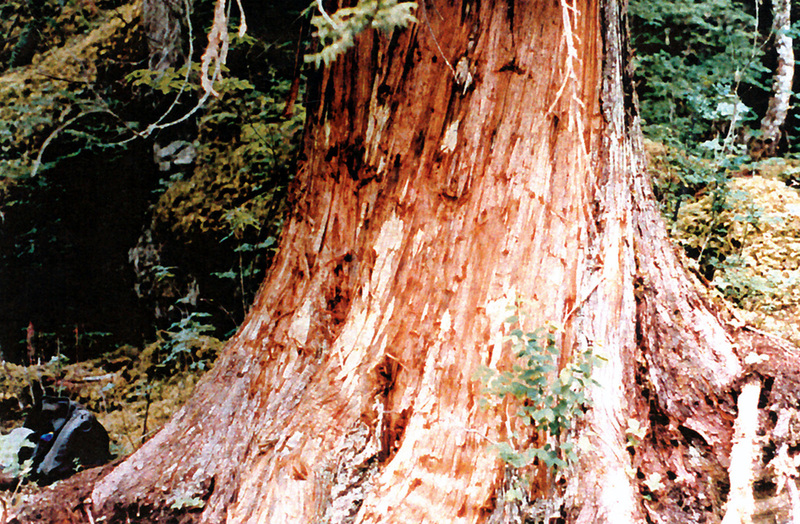 Large cedar beside Klawock Lake nest showing bark stripped 12 feet up. 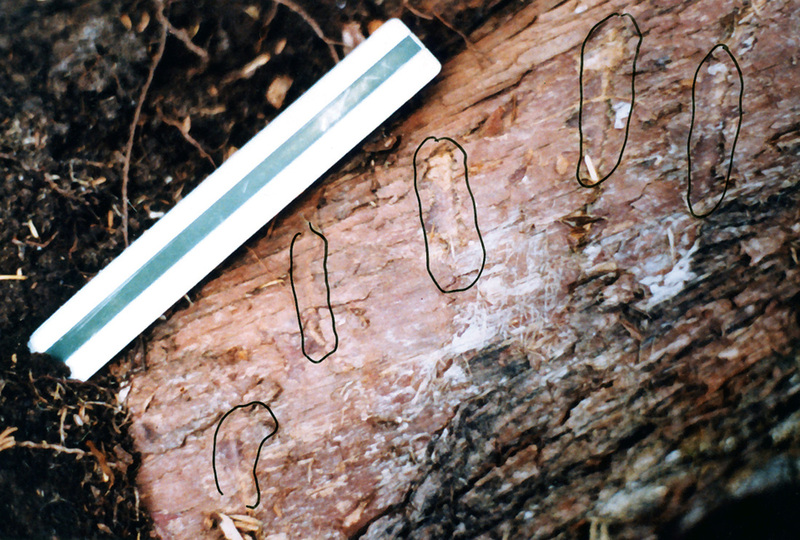 Parallel 8-inch span marks in cedar where bark had been stripped.